Necktie Size Information: Neckties are different sizes: 8″ x 2.5″; 11″ x 2.5″; 14″ x 2.5″. 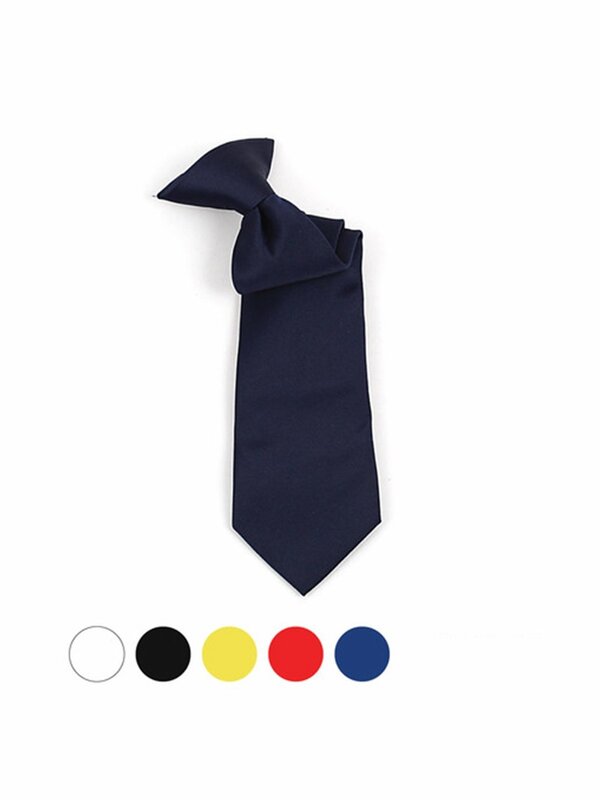 This Clip On Neck Tie offering a noble and classic design to suit your children needs, it is soft. made From Polyester. This Fashionable Neck Tie is perfect for Special Day. Our poly woven Boy’s Clip On Neck ties offer the very best blend of quality, affordability and style. Dress to provoke for a fraction of the fee. Would not have enough time to spend to tie a knot? Our solid poly Clip On ties combine the look of a traditional solid tie with the ease and convenience of a Clip On. This Clip On Neck Tie offering a noble and classic design to fit your children needs, it’s soft. made From Polyester. This Fashionable Neck Tie is best possible for Special Day. CARE INSTRUCTION: Hand wash gently in cold or warm water; Press out excess water with towel; Don’t wring or twist the tie to take away water; Hang as much as dry. Needs More Quantity? Please contact Us.